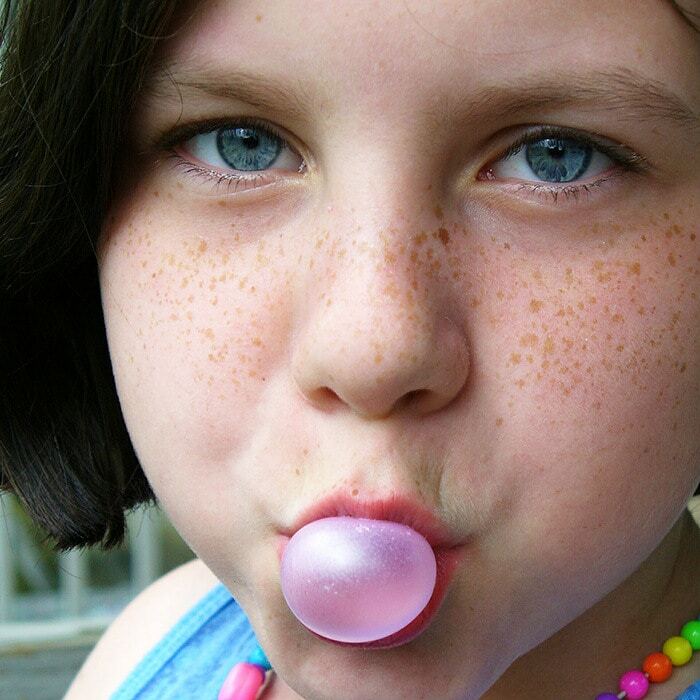 Blog Is Chewing Gum Good Or Bad For Your Teeth? Xylitol is an amazing sweetener. It is a naturally occurring compound you can go down to Greenlife grocery now Whole Foods in Chattanooga and buy bags of it. The cool thing about xylitol is when you chew gum with it, it gets into your saliva. The bad bacteria and only the bad bacteria eat it thinking it is regular glucose. When this happens it reverses the osmotic gradient in the bacteria ultimately killing the bad bacteria! Isn’t that amazing? Xylitol has a second mechanism of action. It is very slick. Once in your mouth it will make your tooth slick and the bad bacteria that cause cavities can’t stick to your tooth as easily! Rendering them in-effective! Which is awesome! Studies show if we use 6-9 grams of xylitol a day we can change the make up of bad bacteria in our mouths. Decreasing them to a level that is healthy. 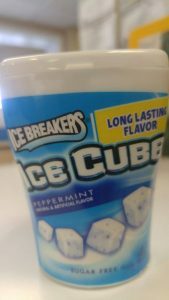 The best gum that contains the most xylitol is Ice breakers- Ice Cubes. Pictured above is the gum with one gram of xylitol per piece. If you choose 2 pieces 3 times a day you are on your way to less bad bacteria and a healthier mouth. It takes about 3 weeks to see the amount of bacteria decreased! We love to treat you! Thank you for supporting our practice. Give us a call with any questions or to schedule a cleaning appointment! When you are here ask all the questions you have about gum and how to benefit from it’s use. McOmie Family Dentistry 423-899-1112.